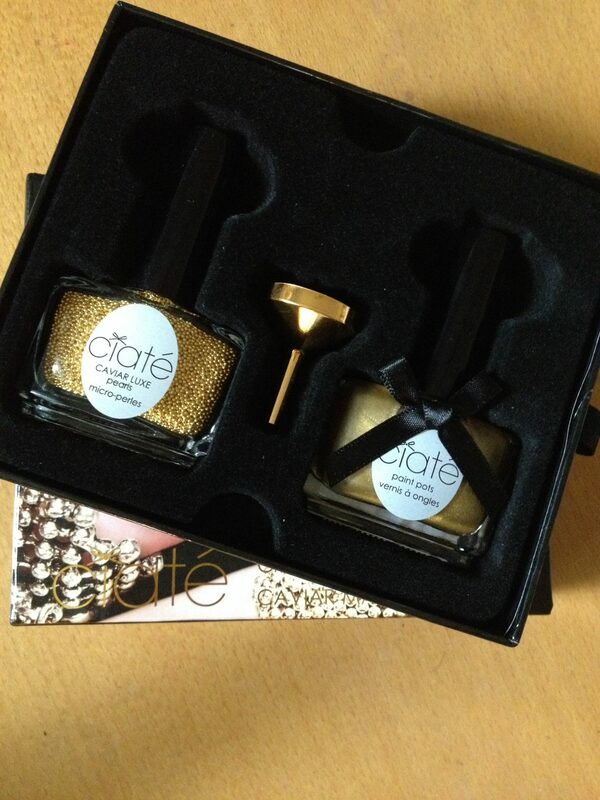 One of the best things about being a beauty writer and blogger is that sometimes it’s a whole lot of fun, and I’ve been having a play this afternoon with Ciate’s new manicure, Caviar Luxe (£25). 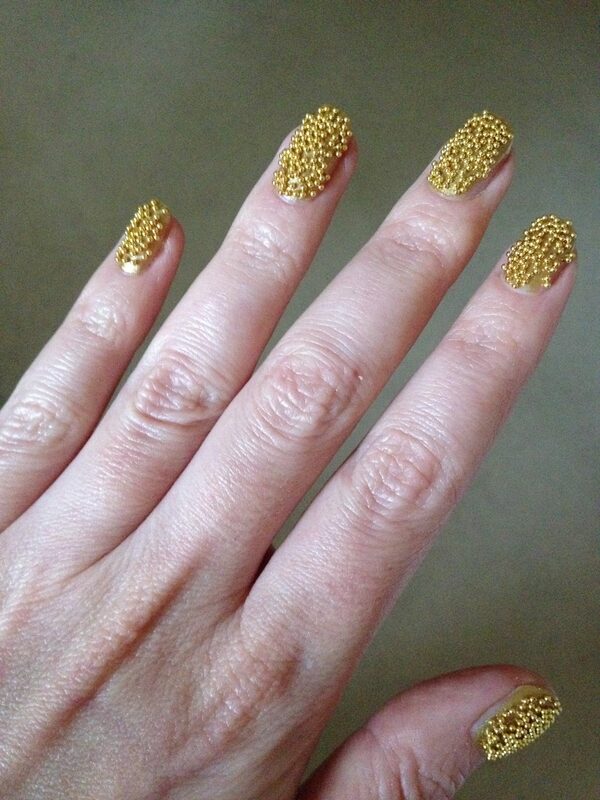 If you’re into statement nail art you will love this -plus, gold is sooo on-trend this season. It’s actually pretty easy to do, and doesn’t take much longer than a normal manicure/nail paint. Mess is minimal as you use the box the manicure comes in to catch the pearls. Once finished, leave nails to dry for 15-20 minutes – this is essential as I was typing while they were drying and some of the pearls came off (see top tip below). Top tip: Don’t do this anywhere near your laptop because the pearls have a habit of disappearing down the keys – probably not the best for PC maintenance! Hope you like the result, it’s quite hard to photograph to best effect but definitely has a luxury, metallic feel that would be ideal for Christmas parties. I also did it quite quickly which is why there are a couple of gaps where I’ve not applied enough pearls – just a bit more time and attention would sort that out! Caviar Luxe Manicure is available in three shades – Gleam (white gold), Lustre (yellow gold and the one I tested) and Smoulder (rose gold). It’s available now from Selfridges.